The airline operates four Boeing 787-8. BOGOTA, Colombia–Avianca Holdings posted a full-year net profit of $120.5 million in 2014, down 51.6% from a net profit of $248.8 million in 2013. The Panama City-registered carrier reported full-year operating revenues of $4.7 billion, up 2% year-over-year (YOY), as expenses came to $4.42 billion, up 4.6% YOY. The company’s full-year operating profit was $284.6 million, down 26.1% YOY from 2013’s $384.9 million operating income.Avianca’s cargo revenue performance was strong in 2014, totaling $834.2 million, up 11.6% YOY. During the year, Avianca acquired a stake in Mexican airfreight carrier AeroUnion and entered into a commercial agreement with Etihad, “creating a stronger cargo operation and more connectivity from Los Angeles via Mexico, while also improving cargo connectivity to Europe, from Milan and Amsterdam to Bogota,” Avianca said. Avianca’s passenger traffic grew 4.5% YOY to 32.6 billion RPKs on a 5.9% rise in capacity to 41.1 billion ASKs, finishing 2014 with a full-year load factor of 79.4%, down 1.1 points from 2013. The company carried 26.2 million passengers in 2014, up 6.6% YOY. CASK for the full-year decreased 1.5% YOY to 10.7 cents, partly attributable to the drop in fuel prices during the 2014 fourth quarter, Avianca said. Excluding special items, Avianca reported an adjusted net income of $129.1 million for the year. The company said its 2014 EBITDAR (earnings before interest, taxes, depreciation, amortization and rents) totaled $786.7 million, down 5% YOY; Avianca’s full-year EBITDAR margin was 16.7%, down 1.3 points from 2013. 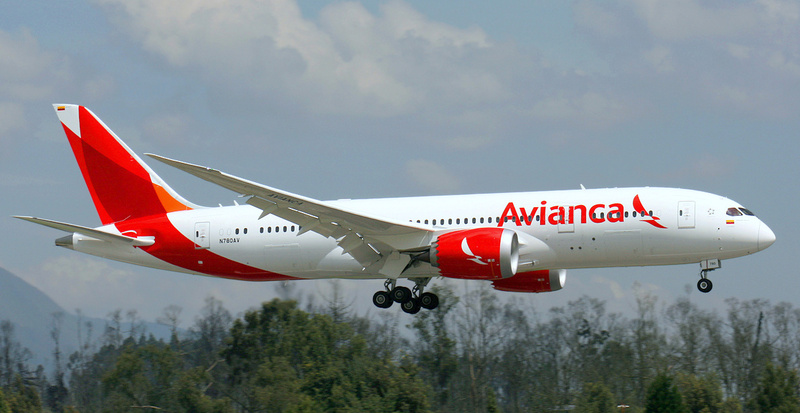 In 2014, Avianca took delivery of 32 new aircraft, including 14 Airbus A-320 family aircraft, 10 ATR 72-600 aircraft for regional flight deployments, four Boeing 787-8 Dreamliners, two A-330s and two A-330 freighters. All 10 of the company’s Fokker 50s were phased out and sold; the company’s entire ATR 42 fleet was retired as well. As of Dec. 31, 2014, the company’s consolidated operating fleet comprised 181 aircraft. Avianca Holdings, created in 2009, operates Latin American airlines Avianca (based in Colombia), TACA (based in El Salvador), Costa Rica’s LACSA, Guatemala’s Aviateca, Ecuador’s Aerogal, plus Avianca Brasil, TACA de Honduras and TACAPeru. This entry was posted in Latin American Airlines and tagged Aerogal, Avianca, Avianca Brasil, Avianca Holdings, LACSA, TACA, TACA de Honduras, TACAPeru.